While internal – software and hardware capabilities can differentiate the devices – analyzing the exterior can also help you to identify which Apple TV you own. If you are also looking for ways to find out the model of your Apple TV, simply read our guide below. Going to settings tab on the TV > General > About. Checking the bottom of your Apple TV. Checking the box of the ATV. 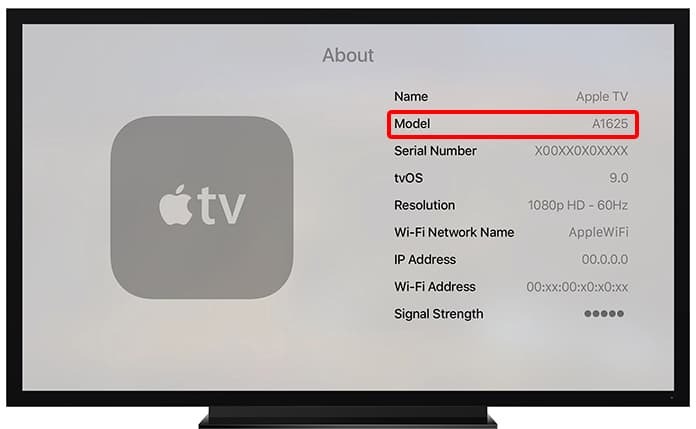 After you find the model number, you can see our table below to identify Apple TV model or generation easily. This device contains the most connectors and ports out of the five models. It contains a power port, a port for HDMI, a component video port, Ethernet port, an optical digital audio port, an analog audio port and a USB 2.0 for service and support. The networking capabilities of the first generation Apple TV include 10/100 BASE-T Ethernet and Wi-Fi (802.11 b/g/n), as well as an IR receiver. Both the models are almost similar and have slightly less ports and connectors than the 1st generation model. The only difference lies in the pixels of both the models as the 3rd generation model has more (720 p or 180 p). The ports are also identical in both the models – a power port, Ethernet port, optical digital audio, HDMI port and micro-USB. The models also have the same networking capabilities – Wi-Fi (802.11a/b/g/n) and 10/100BASE-T Ethernet – and include an IR receiver. The 4th generation has only four ports that are used for power supply, HDMI 1.4 (720 p or 1080 p), Ethernet and USB – C.
The 4th generation model also includes 10/100BASE-T Ethernet, WI-Fi (802.11a/b/g/n/ac with MIMO) and Bluetooth 4.0 wireless technology. The Apple TV also comes with an IR receiver. 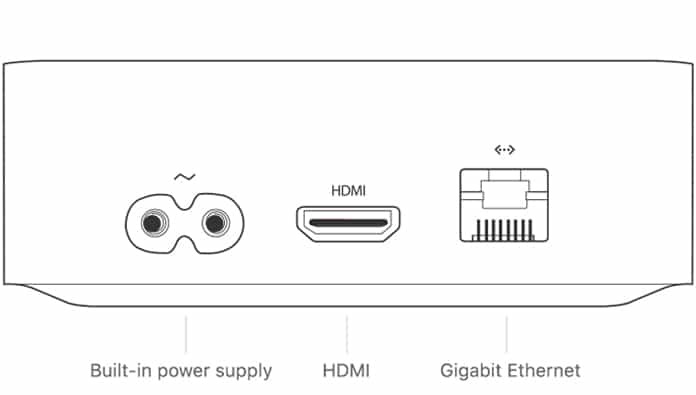 Last but not the least, the Apple TV 4K comes with only three ports – HDMI (2160 p), a Gigabit Ethernet and a power port. The networking capabilities consist of Gigabit Ethernet, Wi-Fi (802.11ac with MIMO) and Bluetooth 5.0. And like all the other Apple TV models, the Apple TV 4K comes with an IR receiver. You can also identify Apple TV model by its specs. 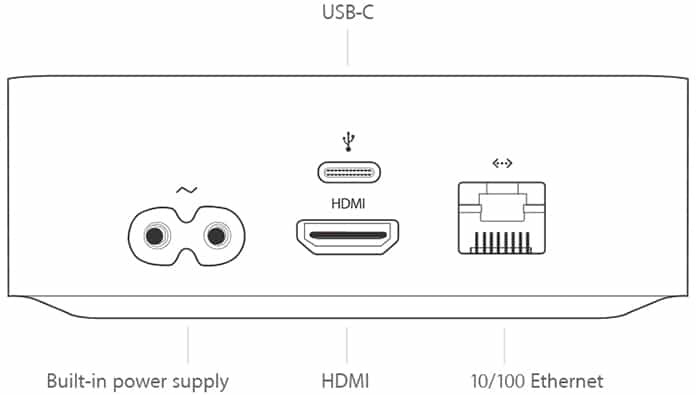 Below are the specs for all Apple TV generations. 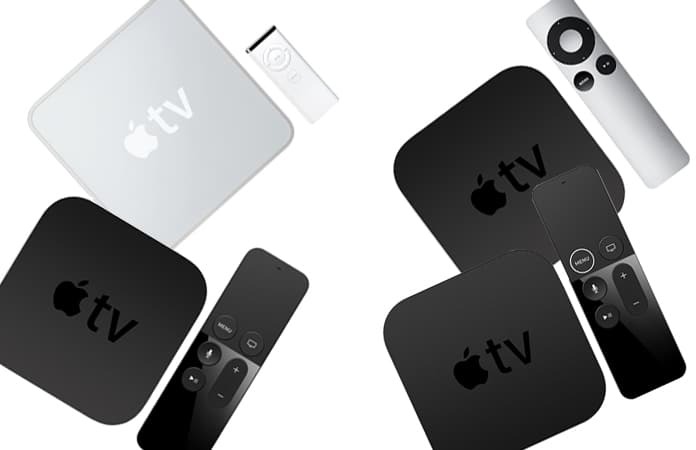 You can compare them and find out which Apple TV model do you have. The five Apple TV models differ slightly in size and weight making it easy for the consumers to tell them apart. As you must already know, the former Apple TV models were built around channels. This means that the viewers had access to limited content as companies had to collaborate with the tech-giant to have their content hosted. And hard to believe but the first generation models were even incapable of streaming. The good news is that in 2015, Apple revolutionized many features including the introduction of tvOS (operating system essential for Apple TV), an app store, and Siri. This changed the face of TV completely and allowed users to play games, access social media, and of course, stream their favorite channels through a Siri remote. The Apple TV 4K announced along with the iPhone 8 and iPhone X is the next generation of Apple TV products that comes with the latest version of tvOS. The hardware technology of the Apple TV 4K supports 4K ultra-HD and HDR streams. It also includes an A10x fusion chip which means the new generation TV will be twice as fast than the previous models. Lastly, the 4K model includes Dolby vision that enhances the colors and brightness of the content. With these tips, you can easily identify Apple TV model and generation. Let us know how what you think of this article in the comments below.